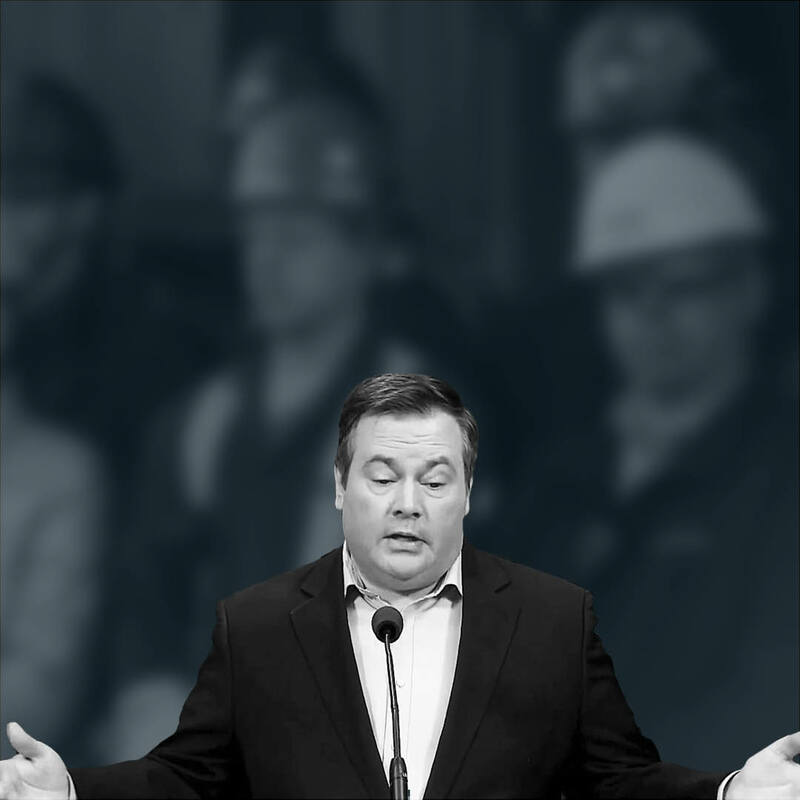 Jason Kenney told Albertans to take a look at his record and that it would speak for itself. When it comes to fighting for pipelines his record is one of absolute failure. When Kenney’s party was in charge both in Ottawa and Alberta their approach did nothing to get pipelines built. In fact, they only made it harder for us to get our product to market. They stomped their feet and screamed and yelled. They slashed environmental standards and divided the country. Under their watch support for pipelines plummeted and were forced to strap ourselves down tighter and tighter to the royalty roller coaster. When he sat around the cabinet table he said that pipelines weren’t his responsibility so he didn’t see a reason to fight for them. All Albertans know that when it comes to market access it’s everyone’s responsibility. Especially if you’re an Albertan at the cabinet table and you’re the national jobs minister. That’s not the only failure that Kenney tried to pass off as not his responsibility. He also failed to own up for being responsible for creating the current equalization formula that he says in now hurting Alberta. But he did promise that the UCP plan was “going to hurt” they just didn’t say on how many fronts. To make matters worse, on top of failing to take responsibility, he went on TV and suggested that no pipelines were a priority to him or his cabinet colleagues. While he spent twenty years in Ottawa he only spoke in favour of pipelines three times in his entire time as an MP. But while it’s clear from his record he didn’t think pipelines were a priority, it also shows that the fight against human rights was his number on priority. He spoke against marriage equality over 25 times. That’s just his fight against the rights of gays and lesbians to marry. He told Albertans to look at his record and what his record says is that he can’t be trusted on pipelines. He’s too busy trying to roll back the clock on human rights. Under his watch not a single pipeline to tidewater was built and given the opportunity not a single one will be built under his watch again.